Despite its low concentration, atmospheric CO2 is a significant compartment. Its turnover time in Earth's atmosphere is about three years. Atmospheric CO2 is an important "greenhouse gas" that affects the temperature of the Earth. In preindustrial times its concentration was about 280 ppmv (parts per million by volume). However, it is now about 350 ppmv and increasing by 1.5 ppmv per year. This level is already higher than levels going back 160,000 years, based on measurements in bubbles trapped in Antarctic ice core samples. Over that period, Earth's temperature correlated with atmospheric CO2 concentration. At the current rate of increase, it will be double the preindustrial level in several decades. It is well established that such an increase will trap an additional 4.35 watts (W) per square meter at Earth's surface, compared to the 235 W/m2 normally absorbed by the surface. What is not so well settled is how much this extra heat energy will increase the temperature at the surface, called the global warming or greenhouse effect. A variety of mathematical climate models have been developed which predict an increase of from 1.5°C to 4.5°C, with a most likely value of 2.5°C. Besides potentially affecting temperature, climate, and sea level, the change in CO2 could directly affect living things by fertilizing plant growth (Section 15.6). Potential ecological effects of global warming are described in Section 15.6. Figure 14.5 shows primary productivity to be in equilibrium with plant and soil respiration. Fossil-fuel combustion contributes an extra 5.3 x 1015 g C/yr. In addition, about 1.0 x 1015 g C/yr comes from deforestation. However, only about 2.9 x 1015 g C/yr actually accumulates in the atmosphere. It is thought that the oceans absorb about 2.2 x 1015 g C/yr of the industrial contribution, about 42%. This leaves 1.2 x 1015 g C/yr unaccounted for, called "unknown sinks.'' It must be emphasized that global fluxes are difficult to measure. There is uncertainty whether terrestrial plants are increasing their removal of CO2 from the atmosphere as its concentration increases, or whether such an effect is counterbalanced by human deforestation. Atmospheric carbon is also present as carbon monoxide and methane. The turnover times for these are 0.1 and 3.6 years, respectively, compared to 4 years for CO2. Methane is also a greenhouse gas. Although less important than CO2, it is increasing faster, having already increased from about 700 ppbv (parts per billion by volume) in preindustrial levels to 1714 ppbv in 1992. Methane has many biogenic sources, including anaerobic degradation in wetland sediments and bacteria living symbiotically in the gut of termites. Anthropogenic sources contribute two-and-one-third times the natural sources. About half the anthropogenic sources are associated with food production, including rice paddies, biomass burning, and from livestock which belch gases formed by anaerobic bacteria in their gut. About one-fourth the anthropogenic source is from fossil-fuel use. 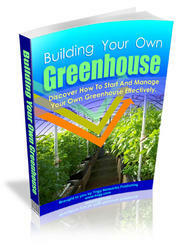 Two other greenhouse gases should be mentioned. Halocarbons are synthetic compounds used for refrigeration (e.g., Freon) among other things. They are highly stable, having half-lives in the atmosphere measured in decades. The most harmful forms have been banned because of their ability to destroy stratospheric ozone, and levels have stopped increasing. 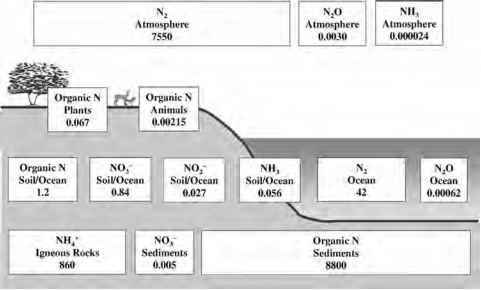 About two-thirds of the total nitrous oxide (N2O) emissions are anthropogenic, and most of those are from tropical agriculture. N2O has increased 13% over preindustrial levels. At their current levels, these four gases trap an estimated 2.45 W/m2 at Earth's surface. About 64% of this is due to CO2, 19% to methane, 11% to halocarbons, and 6% to nitrous oxide. An increase in extreme weather events has been noted worldwide. Global temperatures have increased 0.3 to 0.6°C since measurements began in 1856. About half of that increase has come in the last 40 years, and the years 1990, 1991, 1994, 1995 were warmer than any of the years that preceded them. There are some who suggest that these changes may be natural, such as due to changes in solar output. Nevertheless, most scientists who have studied the data agree that these emissions have already produced detectable changes in Earth's climate and that their effects will have serious consequences for the Earth. respiration, these are very minor compared to other sources. The energy in rainfall does contribute an energy subsidy to ecosystems, as in rivers where it provides energy for transport of organisms and nutrients and for oxygenation of the water. And, of course, it provides water itself, the single compound that makes up the great majority of the mass of almost all living things. 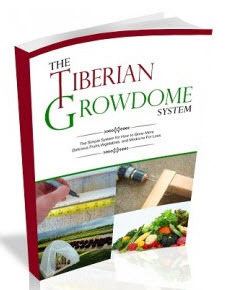 Water is the most common limiting factor in terrestrial productivity. The biota affect the hydrologic cycle in several ways. In the process of évapotranspiration, plants withdraw moisture from the soil and evaporate it from their leaves. Plants also cool the soil by shading and evaporative cooling. Roots, detritus, and soil organic matter greatly increase the water-holding capacity of the soil. synthesis of ammonia. Much of this synthetic nitrogen is used in the manufacture of fertilizer, which goes directly into increasing the primary productivity of crops. Many of the transformations that make up the nitrogen cycle are redox reactions. Nitrogen is present in its most reduced state as organic nitrogen or as ammonia. (The Kjeldahl nitrogen determination measures the sum of these two.) The most oxidized form is nitrate. Intermediate between these extremes are nitrite, NO, N2O, N2, N2H2, and N2H4, in order of increasing reduction (Figure 13.17). 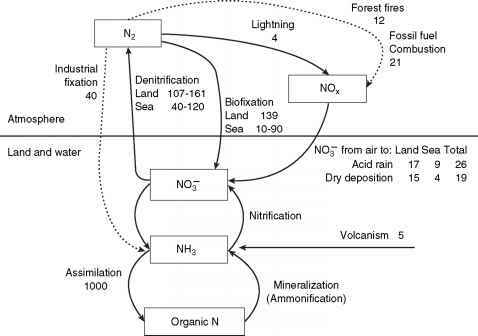 The primary biologically mediated steps in the nitrogen cycle are discussed next (Figures 14.7 and 14.8). Fixation: the conversion of N2 to ammonia. The prokaryotic aquatic blue-green bacteria (cyanobacter) are photosynthetic and get their energy directly from the sun. Bacteria such as Rhizobium and Bradyrhizobium beneficially infect the roots of leguminous plants such as alfalfa, clover, peas or beans, and some lichens and marine algae. Those plants sacrifice some of their growth to share the energy they captured from the sun with the nitrogen-fixing bacteria, in return for a rich source of available nitrogen. Azotobacter is a free-living bacterial nitrogen fixer. Fixation requires a considerable amount of energy. Legume bacteria use about 40 kcal (equivalent to about 10 g of glucose) to fix 1 g of nitrogen. Free-living nitrogen fixers require about 10 times as much. Ammonification: the conversion of organic nitrogen to ammonia. This is performed by saprotrophic organisms which release nitrogen in excess of their own needs as ammonium. Nitrification: the chemoautotrophic conversion of ammonia first to nitrite, and subsequent conversion of nitrite to nitrate. The first step is accomplished by bacterial genuses such as Nitrosospira and Nitrosomonas. The second step is done by bacteria such as Nitrobacter, and in marine environments by Nitrococcus. Nitrification is also responsible for the production of nitric oxide (NO) and nitrous oxide (N2O). Denitrification: the conversion of nitrate and nitrite, through a series of steps, ultimately to nitrous oxide and N2. This process is performed by numerous facultative heterotrophic bacteria when oxygen is limiting. Denitrification can occur even in nominally aerobic environments when anoxic microenvironments are present. This can occur, for example, in clumps of soil where organic matter is present to deplete the oxygen locally and provide energy for denitrification, or in the interior of flocs in the activated sludge wastewater treatment process. Nitrate serves as a substitute for oxygen as an electron acceptor for heterotrophic respiration. Assimilation: the conversion of inorganic nitrogen to organic forms such as amino acids. Plants can absorb ammonia or nitrate, but mostly they use nitrate. Nitrite is toxic to plants. Plant fertilizers usually contain ammonia or urea, which breaks down to ammonia. The ammonia is then nitrified. After absorption, the plant converts the nitrate back into ammonia before converting it into amino acids or other organic nitrogen compounds. The nitrous oxide produced by denitrification can be oxidized photochemically in the stratosphere to nitric oxide, which then reacts with ozone to form NO2. Along with the NOx species from nitrification, these ultimately form nitrate again. This is deposited with precipitation and is part of the problem of acid deposition (Section 15.7). About 25% of the total NOx-N production is thought to originate in lightning and in biological reactions in soil. The rest is anthropogenic, including fossil-fuel combustion and forest burning. 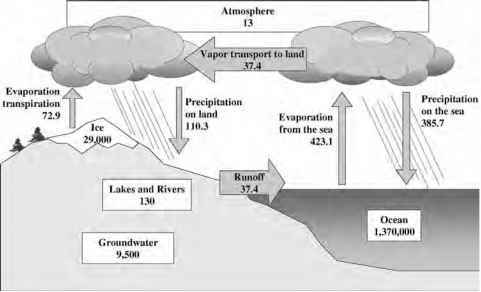 How many reservoirs of nitrogen by volume in the atmosphere? How wastewater treatment system contributes to the Nitrogen cycle?